Is the Polar M600 the most sophisticated fitness smartwatch yet? Finnish electronics firm Polar is no stranger to the world of fitness tracker and smartwatches, but the company is now looking to outdo all its previous efforts, and take a run for the fitness tracker crown, with its latest smart effort - the Polar M600. 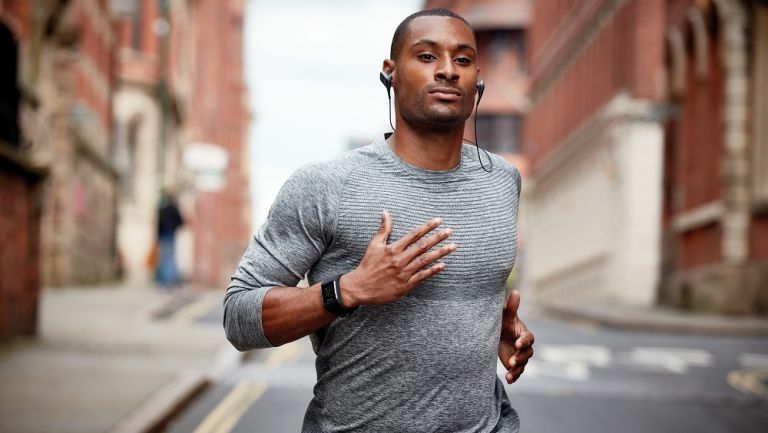 It's certainly not wanting in the features department - for a start, there's the ability to sync your phone with Google Play and listen to music without needing to have your smartphone on you (making it perfect for a run or a trip to the gym), as well as a powerful battery that offers 10 hours of training time and two whole days or normal usage. The real selling point is the way it pairs with your Android smartphone via Android Wear. So rather than simply being alerted to notifications on your smartphone, the M600 enables you to reply to texts, scroll through social media feeds, receive calendar notifications and customise watch faces. Oh and using that Google Play comptibility to support more than 4,000 third-party apps. "Polar is known for bringing smarts into sports," says Marco Suvilaakso, chief strategy officer at Polar. "Polar created the first heart rate monitor, the first activity tracker and now we're the first true sports wearables company to announce a smartwatch truly made for sports. Powered by Android Wear, Polar M600 offers our customers countless opportunities to customize their smartwatch and still rely on the unique Polar sports wearable experience that is at its core." Add in 6-LED optical heart rate measurement featuring Polar's proprietary OHR technology and the ability to track everything from inactivity to calories, and you've got one impressive sounding fitness-minded smartwatch. Polar M600 will be available globally in Charcoal Black and Powder White for £247.97 ($329.90 / €349.90) later this year. Changeable wristbands in Polar Red will also be available later this year.